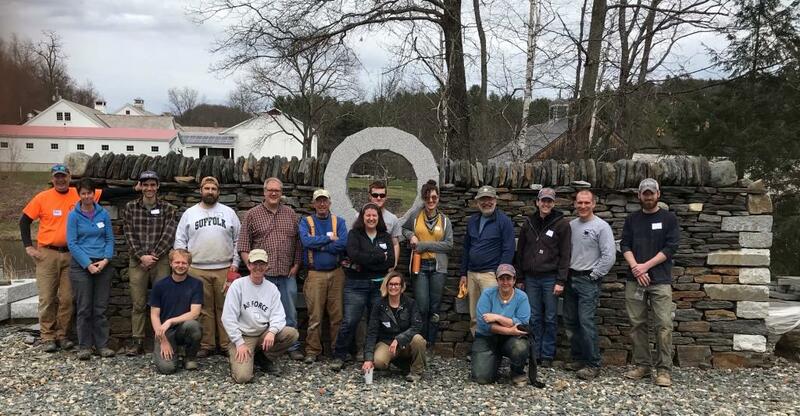 On Sunday, at The Stone Trust Center in Dummerston, VT, 16 participants had a fun day learning the basics of dry stone walling. Hands-on experience building about 25 sq. feet of wall, along with verbal instruction, gave these folks a solid foundation with which to get started. Instructors Kim Coggin and Jerry Coggin, along with Site Coordinator Pete Ryder, had a great time working with these enthusiastic new wallers. See photos from the workshop below.